Hey! My guys! You'all remember, this man I told you about ehn? Ok! I just learnt that his mistress got pregger the 2nd time and had an evacuation. She decided to have her uterus removed as a permanent solution. All efforts by his wife to savage their marriage is not yielding fruit at all! To make matter worst, he lied to the mistress he is getting separated from his wife, but from what I heard, she does not give a hoot if he is still married to her or not! Afterall, she has her own children from previous relationships and he loves her. He spends most of his time there. I became so curious, that I asked more about his mistress and why this man refused to heed the advice of his fellow Nigerian men? I learnt that the mistress no be dudu 00! HA! NO WONDER THE MAN WAN KPEME INSIDE THERE! HE-DIOT of the highest order! EHN! my pipo, you won't understand my exclamation o! It is an achievement to him o! A man that could barely woo a lady back home but managed to snag non-dudu for here, E GO DYE FOR THERE BE THAT NI!!! WA-IT! Tori, never finis o! The man's mojo just awakened and his now playing the field! He is also chasing after a dudu babe by the side, who happens to be orhobo! The same nincompoop man that cussed me out! Yes! You'all guessed right! Am so pissed with him! He has an arrogant-I know- it- all-talkative- attitude that he has no genuine friends. They all rat him out, because he also bad-mouth their wives! I pity am! He is playing with match-sticks! The annoying thing is that this scally-wally man is still a Sunday school teacher! Happy new month to you 'all. The 9th month is symbolic for child-bearing. Hence, every 'pregnancy' we carried, shall be delivered this September in Jesus name. AMEN! You will see the end. It will not be funny for him o. When God decides that enough is enough... it is usually bad for the person involved. @ilola and Sykik; Yes ooo, its a matter of time he would soon dance to his own music. HA! Don't worry, I would be there to clap hands for him well well! Thanks. What goes around comes around. I'm saying a very big amen to the prayers in your last paragraph! @J: Exactly! That is why am so angry with him! 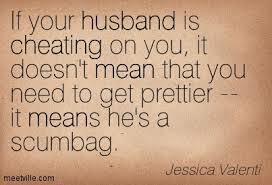 One thing I know about an average Nigerian man, they don't ridicule another man's wife! He cusses his own wife to his friends, hence, they don't respect him! I don't know what are the criteria for choosing a Sunday school teacher, but the little I know about churches here is that any member that wants to work for the church is eagerly accepted and everybody is hustling. @Atoskin: Re-echoing Amen with you. Wait! Sunday school teacher??? Please how can he stand to teach people the word of God after having an affair to the point of evacuation? Please New Dawn, let me go drink a cup of tea. This is serious. @Tee, ahahahaha @ last line. My dear, no be today o. The bible says there would be many wolves in sheep clothing in the house of GOD. Thanks.